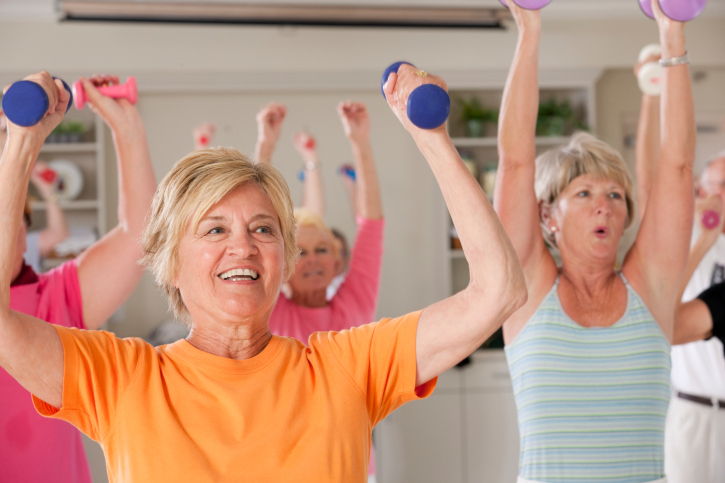 Ask a Health Advocate: Do you have any tips for starting an exercise routine? Often the hardest part in starting an exercise program is choosing an activity, creating a routine and making sure it is something that is sustainable and enjoyable for you. Identify the reasons why you want to start exercising. There are many great reasons to exercise. You may want to reduce your risk of chronic disease by improving your balance/coordination, lose weight, or reduce your stress level. Or, are you preparing for a race or event, trying to increase your energy level, or sleep better? Use these reasons and goals as motivation to get started. Determine where exercise is on your priority list. Examine where exercise currently is on your list of priorities, and where you would like it to be. You can then identify what changes need to happen with your schedule and activities to make exercise a priority in your life. Perhaps you’ll want to wake up earlier to fit in a morning run, or pack a gym bag that you take with you to work so you can exercise on your lunch hour or go to the gym on your way home. Go at your own pace. If you are just starting out with exercise, go slowly and listen to your body. Keep your exercise plan realistic and achievable by planning a simple routine at first and then progressing to a more extensive workout as you build your stamina and strength. Schedule your exercise sessions on your calendar in advance and allow time for recovery. Treat your workouts like important appointments—this will help you stick to your schedule. And beginning with 3 or 4 sessions a week and building rest days in between can reduce your likelihood of feeling physically or mentally overwhelmed. Allow your body to adjust to physical activity. Wear a pedometer. Tracking your steps and having a daily goal can be a great way to get you into the mindset of being active and making exercise an important part of your day. Make it fun! Work out with a friend—it can help keep you both accountable. Find a new activity you want to try, join a sports team or a gym, or include different types of exercise in your routine. The more you enjoy the types of exercise you are doing, the more you will be inclined to stick to your routine! If you’re a Health Advocate member with access to the Wellness Coaching program, reach out to your Wellness Coach for more tips on starting an exercise routine. Ask a Health Advocate: Do you have any healthy Valentine’s Day gift ideas?